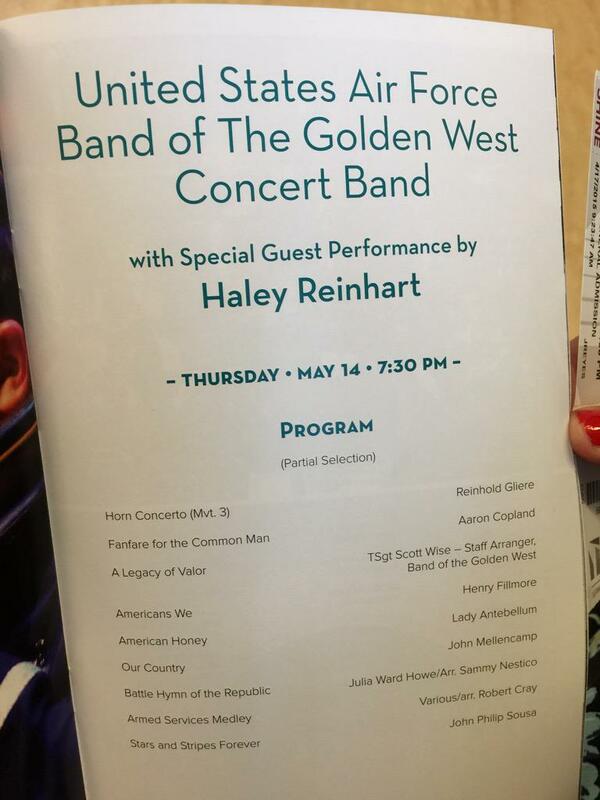 Haley was invited to join the United States Air Force Band of the Golden West for the first night of their 7 day Southern California Tour, at the Valley Performing Arts Center located on the CSUN (California State University of Northridge) campus. The event began at 7:30pm. Despite the pouring rain in LA that evening, a big crowd of young and old filled the beautiful VPAC. Last but not least, they performed Haley’s original song “Love is Worth Fighting For”. 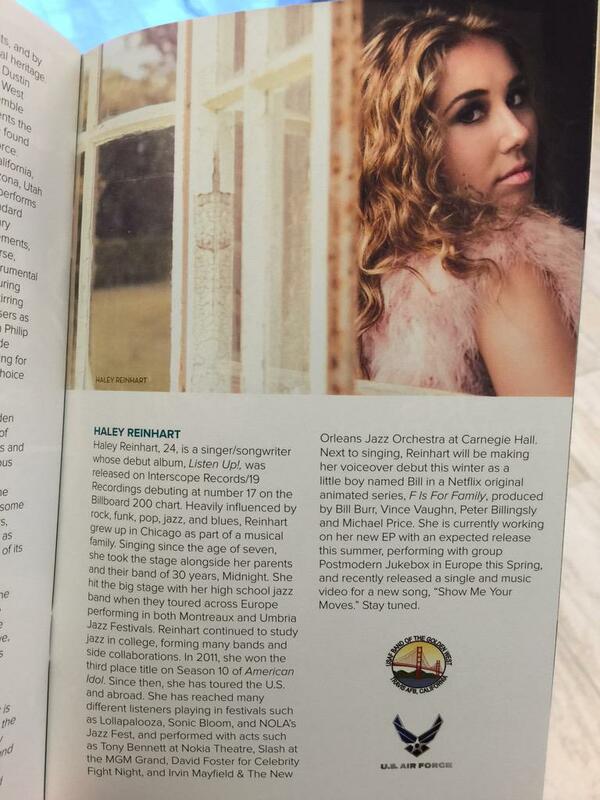 Haley stated that this song will be on her upcoming EP! It probably won’t sound anything like this version, but either way it was a real treat to hear it played to this capacity of instrumental. The USAF Band of the Golden West expressed great gratitude towards Haley and what a privilege it was to perform with her. And vice versa! @BandGoldenWest It was an absolute pleasure performing with you all last night! Thanks for learning my tune & for all that you do! See ya’s! It was great honoring and thanking our veterans, while enjoying the music of this truly incredible band.